This guide provides detailed information about how FISMA applies to government contractors, what the requirements are, and the options contractors have available to meet compliance standards. The Federal Information Security Management Act (FISMA) established a framework that’s designed to keep government information and operations safe from the cyber security threats facing them. FISMA regulations apply to all Federal Agencies as well as government contractors if they operate federal systems, such as providing a cloud-based platform. NIST 800-53 is a publication that defines these requirements and gives federal agencies and contractors security and privacy controls, along with guidance on choosing the appropriate data protection measures for their organization’s needs. This 462 page document goes into detail about the requirements and has 212 controls total. Federal agencies and contractors do not need to implement every single one of these controls for compliance, although they do need to ensure that they meet minimum security standards with the ones they select. This unified security framework ensures that all federal agencies and contractors share a minimum level of protection for their information systems. The standard has enough flexibility that each organization can get the measures that best address the risks they face. FISMA uses a three tier approach for risk management. The first level is organization, the second is the mission and the business processes, and the third is information systems. The tier at the top of this triangle represents the strategic risks impacting the agency, while those at the bottom are tactical risks. Each security control has five components: the definition of the control, additional guidance about implementation, how to go beyond the base level control through enhancements, control references and its priority and baseline allocation. By implementing these 18 control families, federal agencies and contractors gain comprehensive protection against common security risks that threaten government information systems. This section defines the baseline security controls that organizations need to comply with FISMA. These act as a security foundation for each agency so they all meet the same minimum standards. Federal agencies are not restricted to these baselines. They can enhance the security measures to go beyond the bare minimum if it’s necessary for their information systems and fits into their IT security budget. The security controls in NIST 800-53 fall under three designations: common, system-specific and hybrid controls. The federal agency uses these designations to assign responsibility, understand the impact of the control, document the security measures appropriately and reduce implementation and assessment expenses. Many federal organizations work with external service providers for essential parts of their information security systems. Cloud-based services are a common example of this practice. When external service providers work with federal information or operate information systems for a federal agency, they have to meet FISMA security requirements. The federal agency working with the partner must ensure that the partner is compliant, as they are accountable for these security risks. Organizations can handle this process by including the Risk Management Framework into the contract. In some cases, it’s not possible or feasible to establish the appropriate level of trust with an external partner. Organizations have a few options in these circumstances. They can use compensating controls to mitigate any risk in the service, take on the risk if it is acceptable within the established risk tolerance levels, take on insurance to cover the risk or opting not to work with certain providers. The drawback from not working with some providers is that they may offer system functionality that is not available with other partners. This trust is established by the organization preparing information systems to operate even when failures, cyber attacks, human errors and disruptions occur. 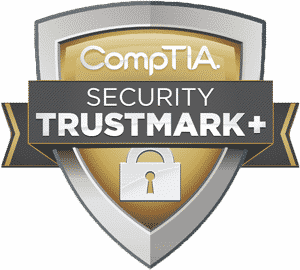 While trust is ultimately a subjective metric, it comes down to the confidence that the system integrity and availability will not be affected by commonplace threats. Security functionality and security assurance are the primary components that impact the trust level of federal information systems. Security evidence provided by individual developers and groups give the necessary assurance. If a government contractor has the expertise and resources available, becoming FISMA compliant can be obtained in-house. The in-house team can follow the Assessment Procedures provided by NIST. If the contractor does not have the expertise to meet the requirements outlined in the NIST documentation, contractors have the option of outsourcing the requirements to a third-party provider, such as a Managed Security Service Provider (MSSP) who has experience with NIST 800-53. There are many qualified and experienced MSSPs in the U.S. who specialize in compliance services and monitored cyber security for government contractors who need to meet FISMA compliance requirements. An MSSP will be able to perform this assessment and perform any remediation work necessary to become compliant. For many small contractors, the most effective way to meet the requirements of FISMA is to outsource the task to a Managed Security Service Provider (MSSP) that specializes in FISMA consulting, or IT Risk Management and Compliance. Remember that contractors remain ultimately responsible for ensuring that their company meets the FISMA requirements, so it is essential to choose an MSSP you are sure you can trust. By outsourcing the FISMA Compliance work to a qualified provider, contractors should save a lot of time and money getting and staying compliant. An outsourced provider will have all of the required document templates for the Gap Analysis and the System Security Plan as well as the advanced tools required to monitor and respond to security incidents. They will also have the resources required to perform the remediation steps required to become compliant and the legal documentation to prove compliance has been reached and is being maintained should the government or Federal Agency ask. The first step towards compliance will require the MSSP is see how close, or how far away, the DoD contractor is from meeting the minimum requirements outlined in NIST 800-53. This process is called the Gap Analysis. Gap Analyses are designed to discover inadequate systems setups and processes that may not meet the FISMA regulations. Taking a close look at a company’s network and procedures is the first step to ensuring compliance. use their findings to create remediation plans that will correct any problems and keep our clients in line with FISMA compliance standards. The gap analysis will either aid a contractor in performing their own remediation plan, or they may opt to have a third-party, such as an MSSP, perform the remediation for them. An MSSP will develop a remediation plan based on the findings outlined in the gap analysis. A remediation plan may involve small relatively inexpensive fixes to a network and/or its processes, or it may involve more extensive, from the ground up, development of compliant networks and processes that meet today’s NIST cyber security standards. Remediation plans provide careful documentation of processes that don’t meet today’s standards. Having a well-researched plan also makes it easier for contractors to make necessary changes to their systems. Once the MSSP helps clients meet FISMA/NIST SP 800-53 standards, they will provide legal documentation that proves compliance. This documentation provides legal protection from potential fines. Instead of taking risks, companies should make sure they have as much protection as possible. Otherwise, they could find themselves spending millions in court costs and fines. According to US-CERT Federal Incident Notification Guidelines, FISMA requires federal Executive Branch civilian agencies to notify and consult with US-CERT regarding information security incidents involving their information and information systems, whether managed by a federal agency, contractor, or other source. The Notification Requirement states that incidents must be reported within one hour of being identified by the agency’s top-level Computer Security Incident Response Team (CSIRT), Security Operations Center (SOC), or information technology department. In some cases, it may not be feasible to have complete and validated information for the section below (Submitting Incident Notifications) prior to reporting. Agencies should provide their best estimate at the time of notification and report updated information as it becomes available. Incidents can be submitted via the US-CERT Incident Reporting System. At SysArc we work alongside your organization to determine which steps are necessary to meet NIST 800-53 guidelines in order to be FISMA compliant. Our approach follows our Robust Managed Security Services Plan (MSSP) in the utilization of our professional team, detailed processes and successful tools to meet your compliance needs. A Security Services Plan will be set in place to collect and analyze data, focusing on events that could be the most impactful to your organization. We use threat intelligence tools designed to organize tasks and execute operations in the most productive way. For more information about how SysArc can help Government Contractors comply with FISMA, please see our FISMA/NIST 800-53 Compliance Solution.